Located on a beautiful private island with pristine beaches and lush tropical greenery, Ayada Maldives offers a truly luxurious retreat with a genuine Maldivian style. 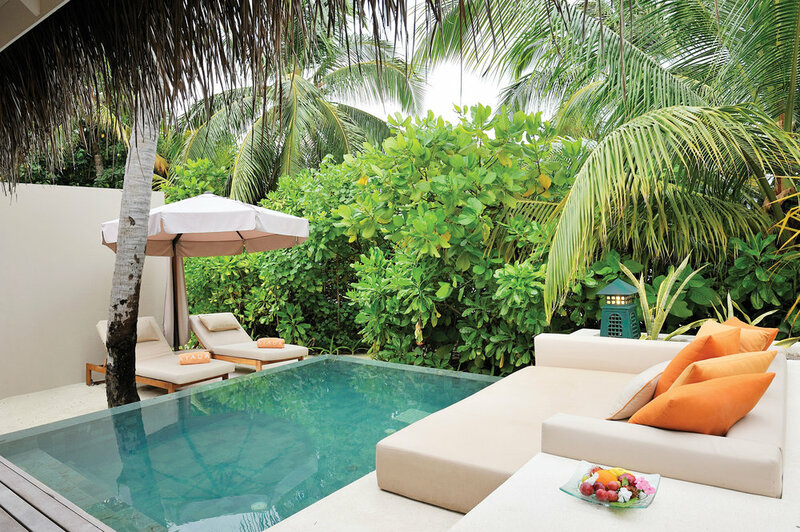 A wide range of restaurants, large villas with private infinity pools and our multiple award winning AySpa make Ayada Maldives an excellent choice. A large variety of water-sports, excursions and further activities are available for our guests. Ayada Maldives is listed among the top 25 resorts worldwide on TripAdvisor & winner of Traveler's Choice 2019. Ayada Maldives offers 9 different types of accommodation, each with unique features but sharing the same level of luxury. Our villas and suites offer larger than average luxurious interiors, stylishly finished with Turkish and Maldivian design elements. Beach villas and suites feature a secluded private garden with pool and outdoor shower - just a few steps away from the beach. 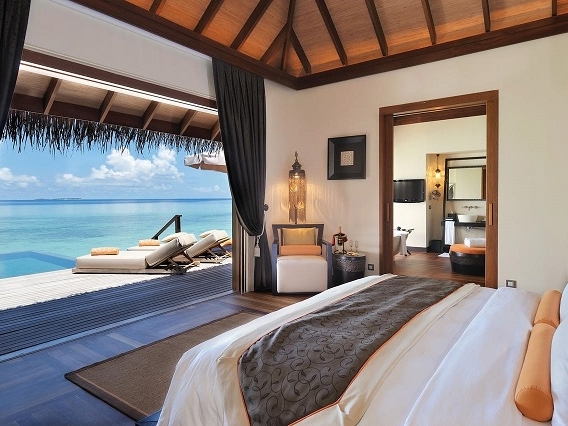 Over-water villas and suites offer amazing views over the open ocean and also have private pools and outdoor showers. Enjoy a complete Ayada experience with our special offers. Book at better rates, experience our multiple award winning spa treatments, romantic dining options, try water-sports and join excursions. Discover what is on offer right now. Book our complete honeymoon package if you want the best of romantic experiences without planning or calculating too much. We have included the most popular romantic experiences and signature Ayada elements in this package. Enjoy 32% discount on our room rates. This offer is only applicable for reservations made directly on our website. 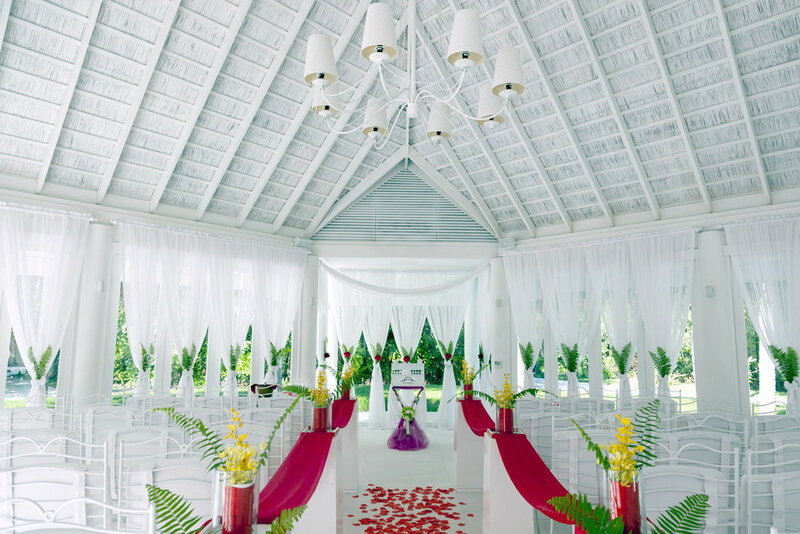 This package offers the ultimate luxury experiences and activities to enhance your tropical romantic holiday. We have 8 outlets at Ayada Maldives, each offering a different cuisine and unique dining experiences, including Teppanyaki, Mediterranean fine dining and Asian flavors. In each restaurant, we use fresh organic ingredients from our garden and local farms, that makes our food authentic and luxuriously delicious. Ile de Joie, our over-water wine cellar offers a unique wine & cheese experience. Our chefs are ready to cater for all dietary requirements. Make memories that last for a lifetime. 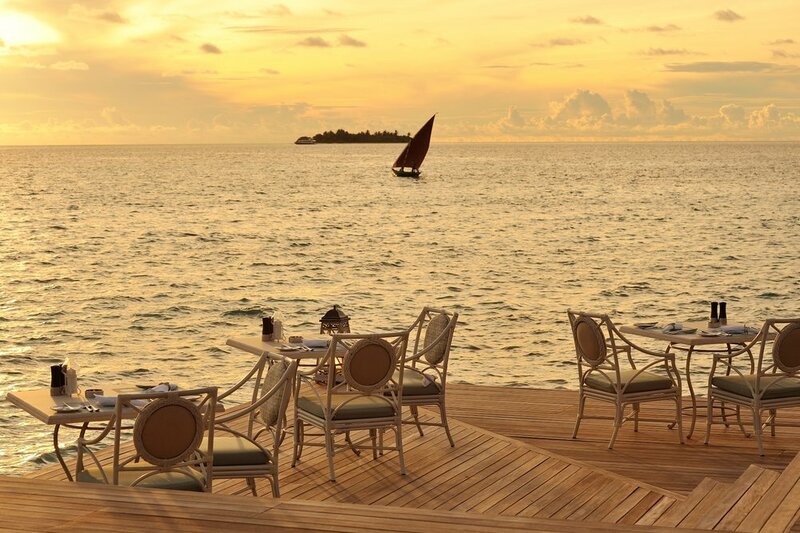 Ayada Maldives offers an extensive list of excursions that will showcase the finest and authentic Maldivian experiences. Ranging from sunset cruises, fishing trips and excursions to inhabited islands, all excursions are undertaken under the care of experienced and personable team members. Ayada Maldives is located in the beautiful Gaafu Dhaalu Atoll in the south of the country. Upon arriving to Velena (MLE), guests are greeted by one of our airport representatives and escorted to the domestic lounge, then later to the departing domestic flight gate. 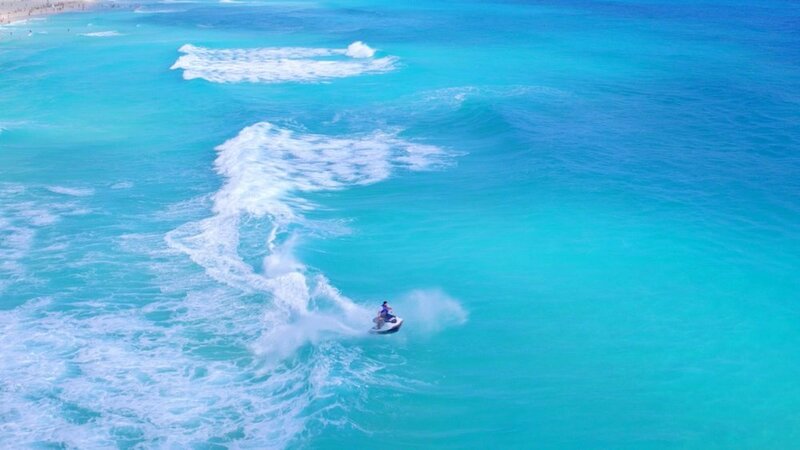 The resort is only a short (55 minutes) domestic flight and a speed boat trip (50 minutes) away from Male. All transfers between Ayada Maldives and Velena International Airport (MLE) are organized by the resort. Domestic flights are operated by 3rd party and Ayada Maldives has no control over flight schedules. Should you fail to provide the above information within 7 days prior your arrival, we won’t be able to guarantee a smooth domestic flight.